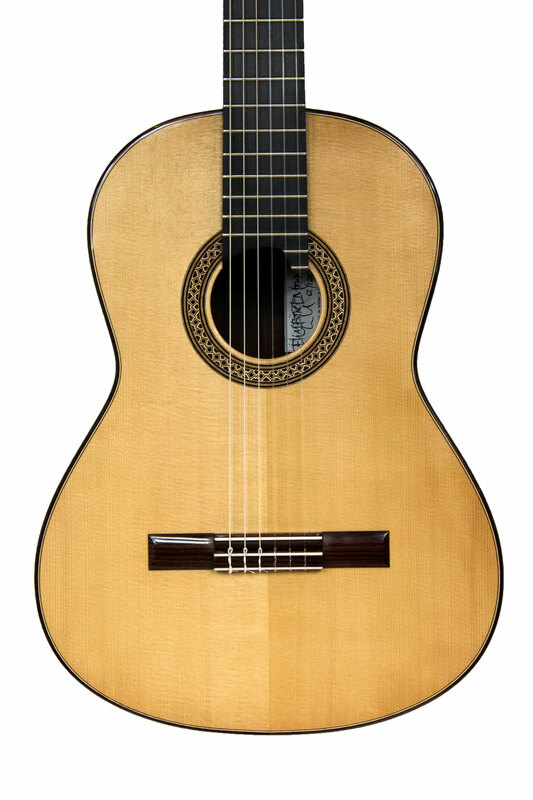 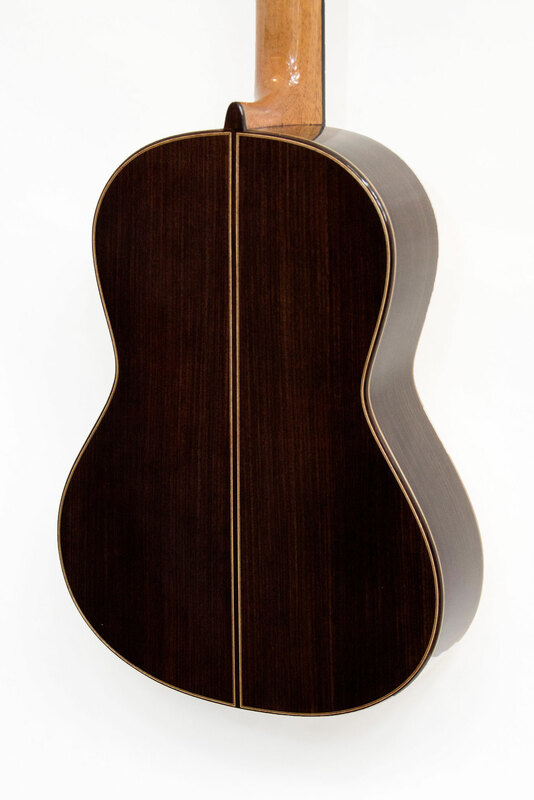 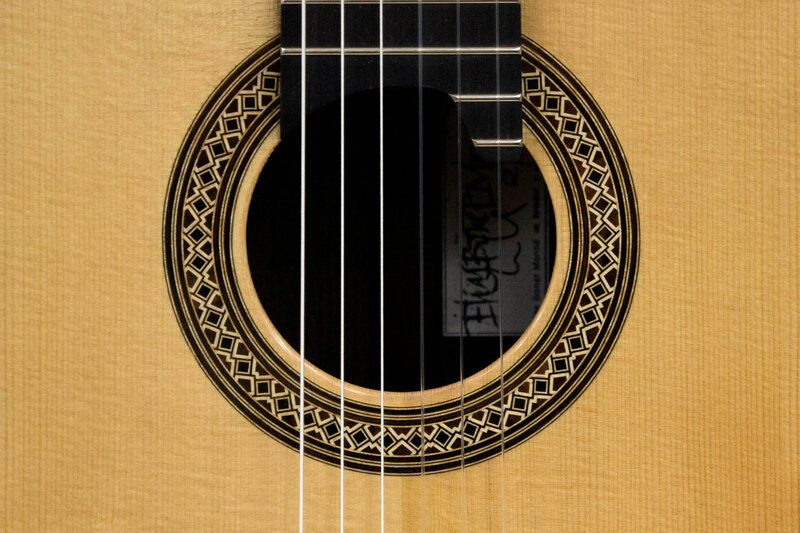 Elias Bonet Monné trained with two famous Barcelona master luthiers: first Raùl Yagüe and then Juan Antonio Reyes Torres. 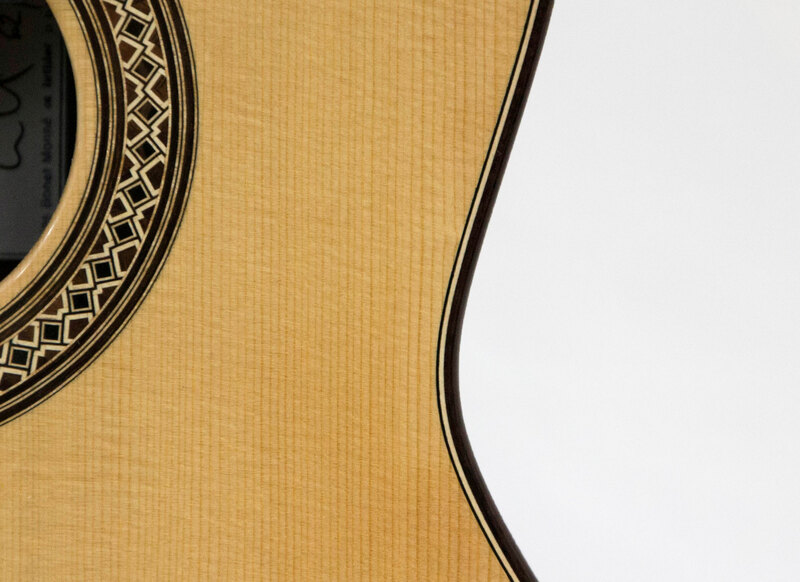 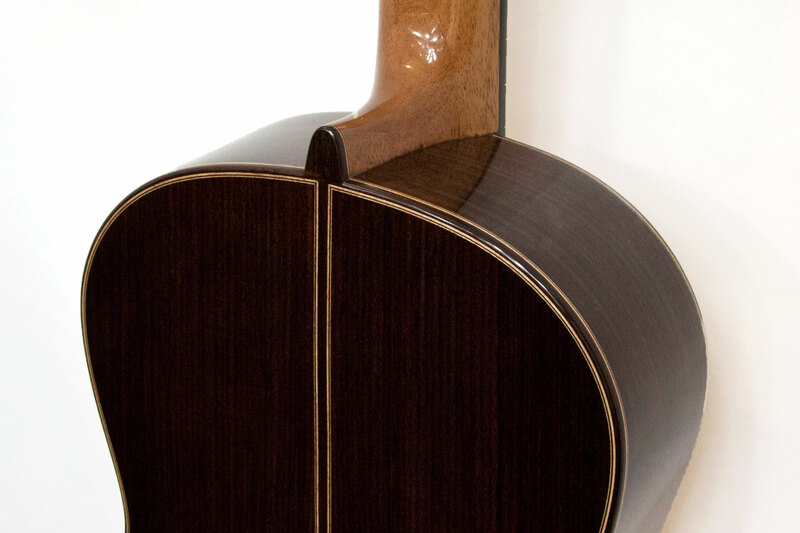 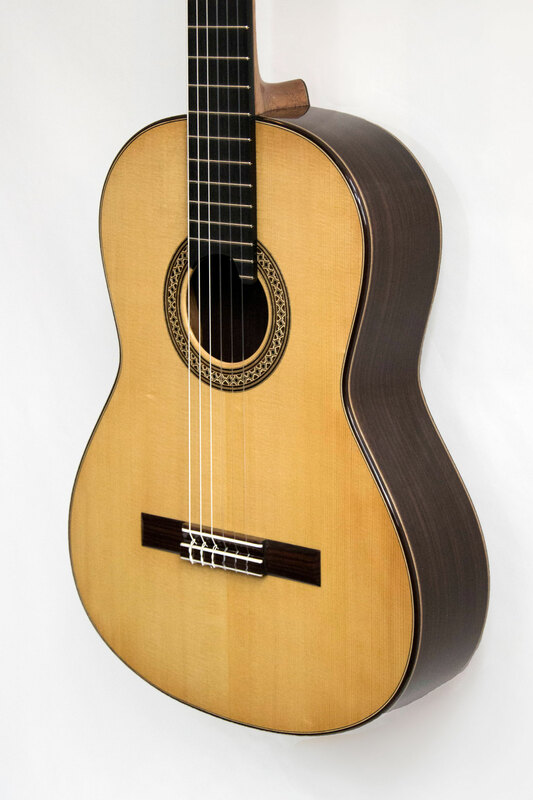 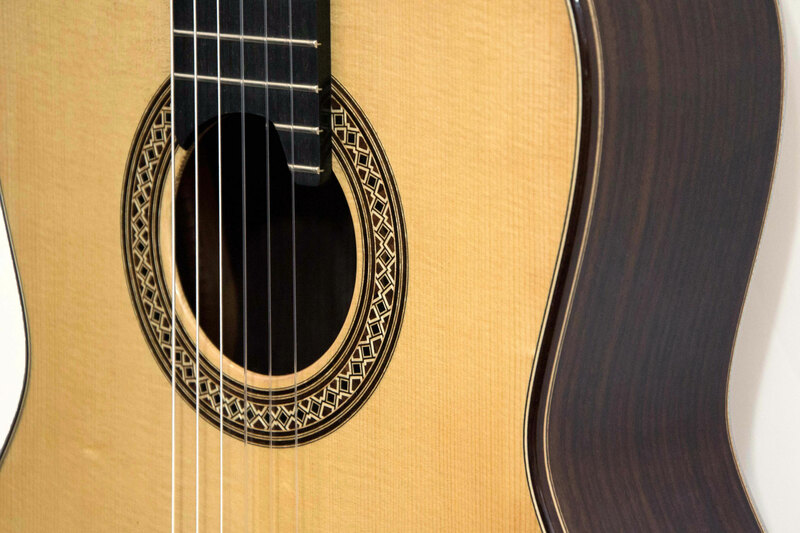 This beautiful guitar of his, which we are pleased to display, shows that the Barcelona-based young luthier has turned this training and this heritage to excellent account. 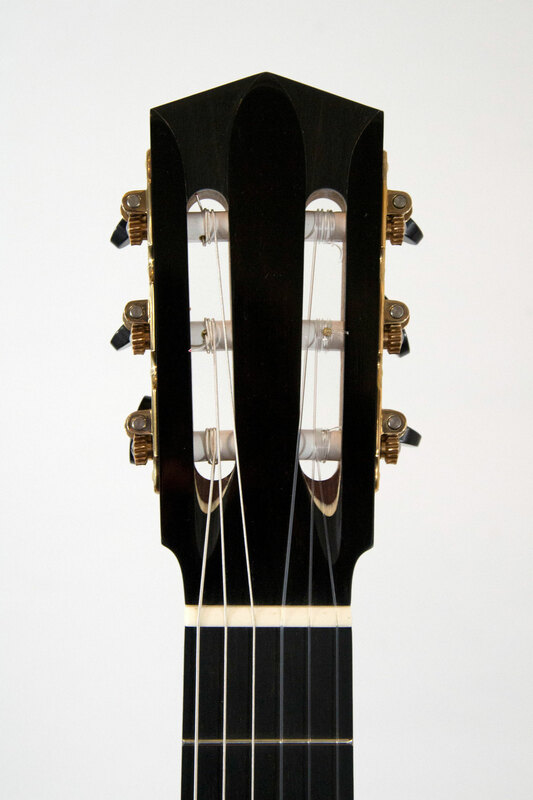 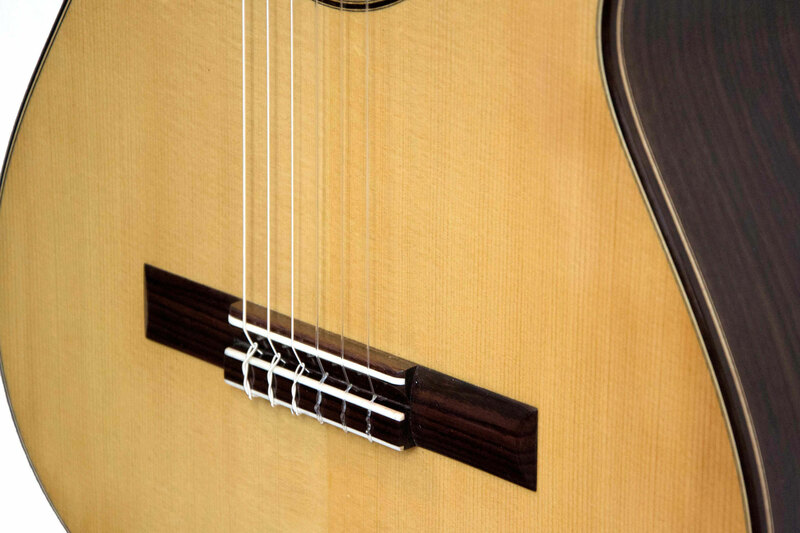 Soundwise, this is a well-balanced instrument, of great harmonic richness; it is both easy and pleasant to play. 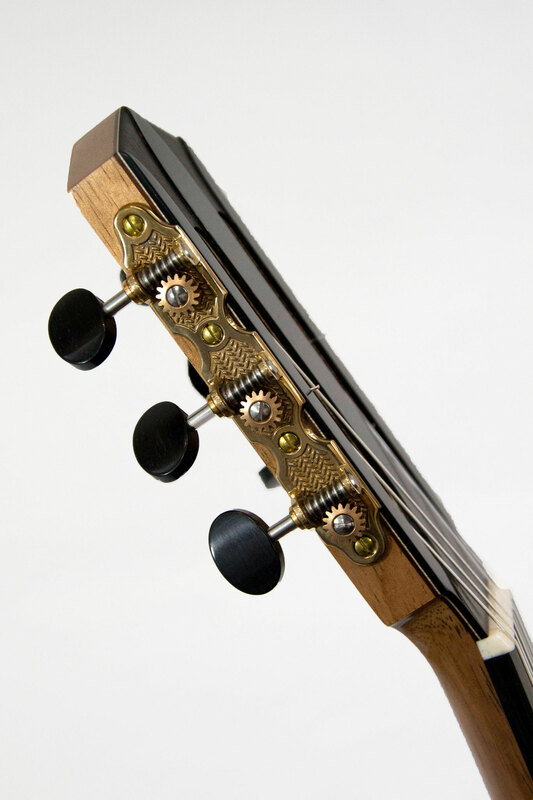 It has great, beautiful musicality with strong and percussive basses as well as full and singing trebles. 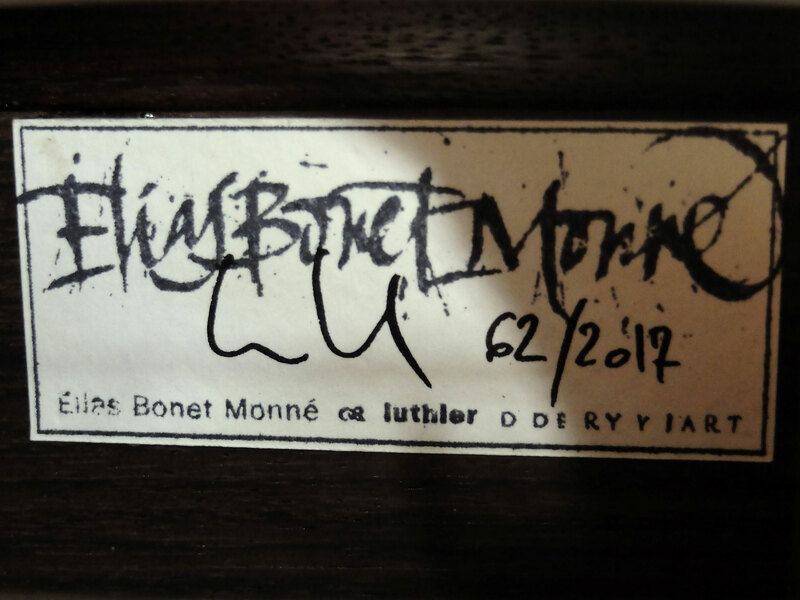 Barcelona has always been a major guitar-making centre; its musical future is in safe hands such talented young luthiers as Elias Bonet Monné.